Your commission work will include a small, 3 inch x 3 inch canvas with a tiny easel to display it on. 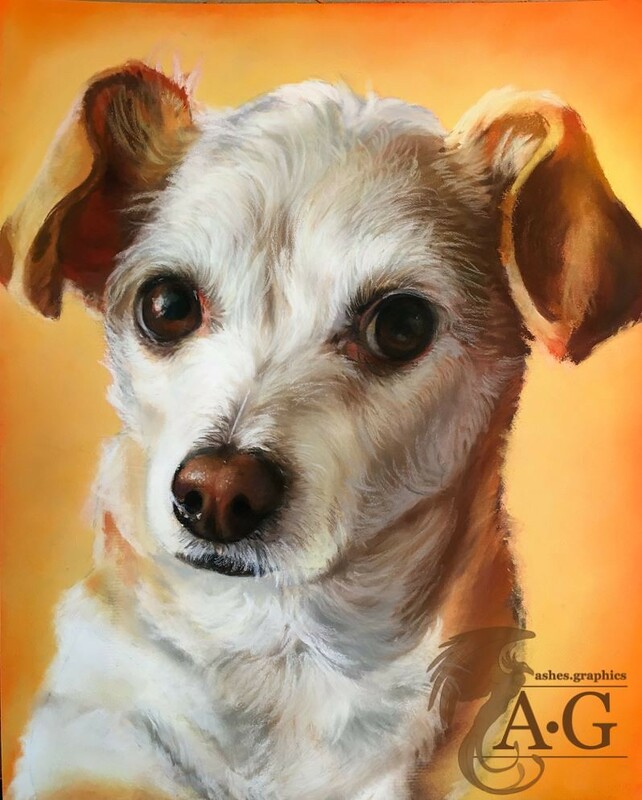 Please note, due to the nature of this medium and the size of the canvas, your portrait will not be as detailed as my Custom Pet Portrait. This portrait will take approximately 3-5 days, with additional time for shipping. 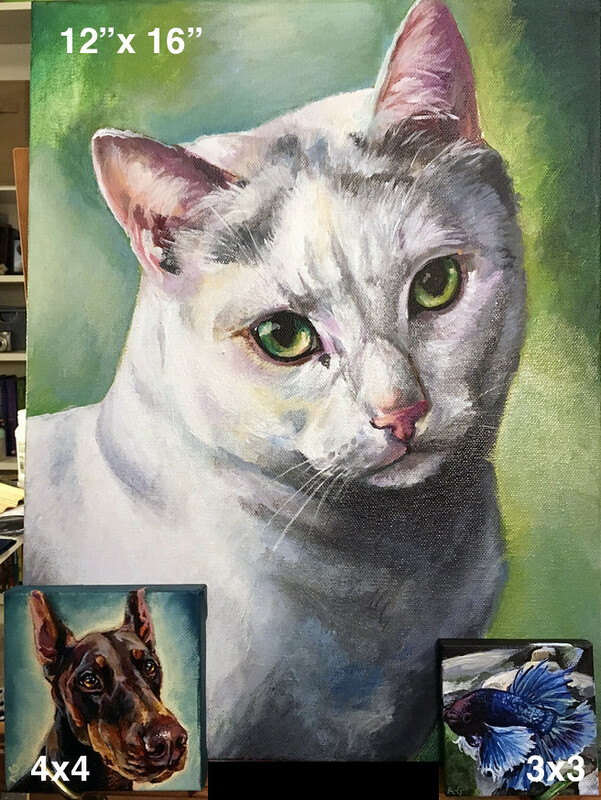 Please send me pictures of your pet and any ideas you have for the bust portrait. Choose one that I can focus on or send several and I can tell you which I can use. You may then email me to begin the process. Together we will discuss the details, and once we agree on specifications I will ask you to purchase this listing. Due to the lower price of this portrait, I ask for the price in full unless you intend to have the original shipped to you. 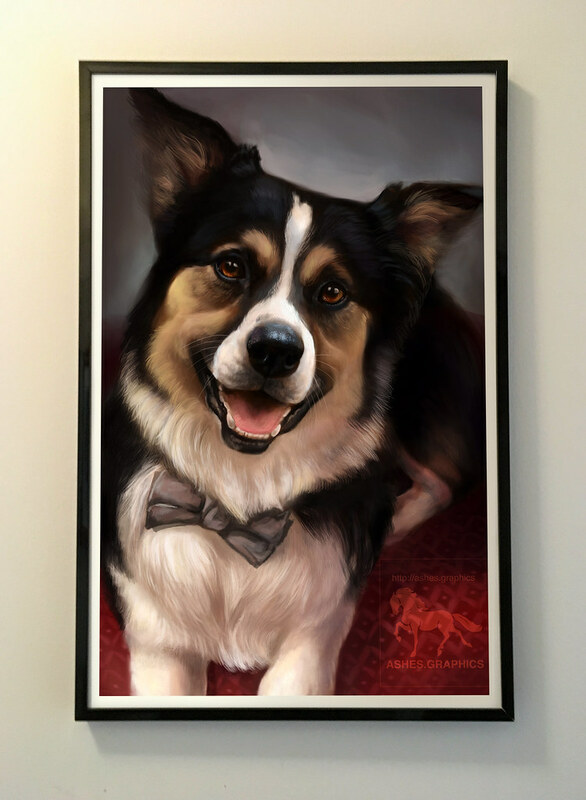 I loved loved loved my tiny painted pup portraits!!! I loved them so much I am ordering another set!! Ashleigh does great work!